This sweet child's design features 4 and 6mm snow white Swarovski crystal Pearls & 5mm bicones (IN THE COLOR OF YOUR CHOICE). seamless sterling silver rounds, and 5mm clear or 6mm Lt. Rose or Aquamarine Swarovski crystal Butterfly beads. 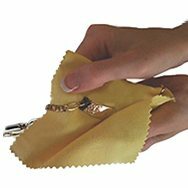 Butterfly charm at additional cost! Shown with Lt. Sapphire bicone crystals and clear swarovski butterflies. 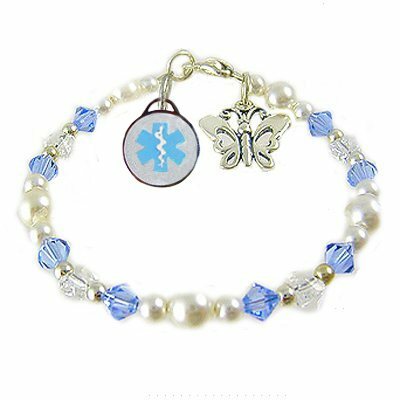 Price includes: One stainless round medical charm with clear-etched engraving and beaded bracele, lobster clasp closure..